We have a team of highly skilled joiners on site who will make your table here in our very own workshops. we have a range of finishes available for your table top as well as a range of different styles for the base of your table - which can be painted in any colour of your choice! We have painted the metalwork in a beautiful two tone colour to really make the items truly unique. 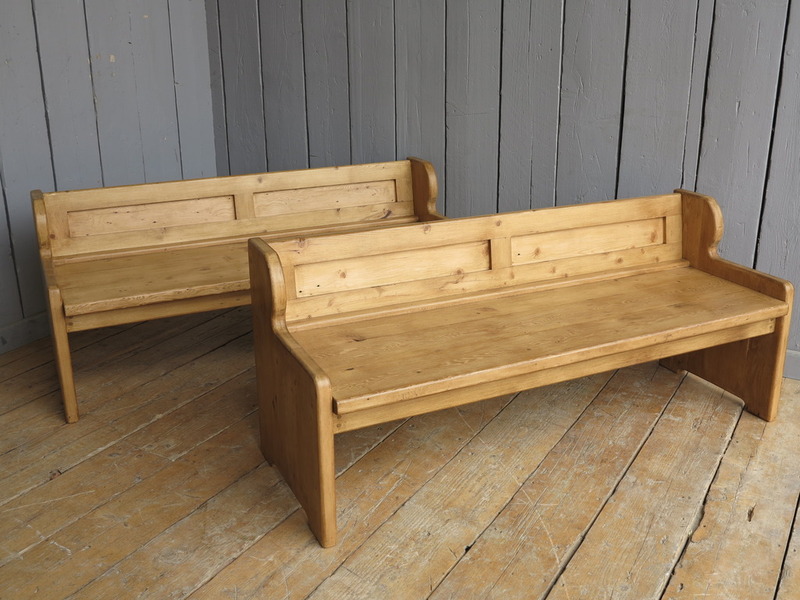 The bench pictured on the left in the image below measures 60" long whilst the one pictured on the right measures 76" long. 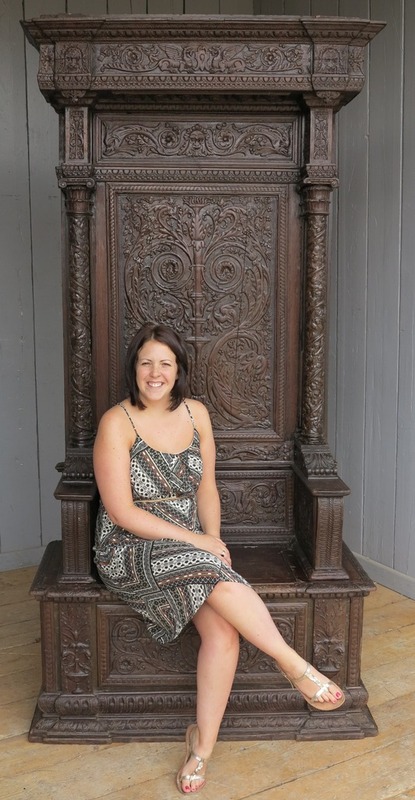 One of which is this fantastic Antique Hand Carved Throne Seat which has a very practical Lift Up Seat for storage! The detailed carving on this item is exquisite and really eye catching; this would look excellent in an entrance hall. The Throne measures a staggering 96" Tall x 47" Wide x 22" Deep! Here at UKAA we have a fantastic range of reclaimed church and chapel chairs from all over the country. 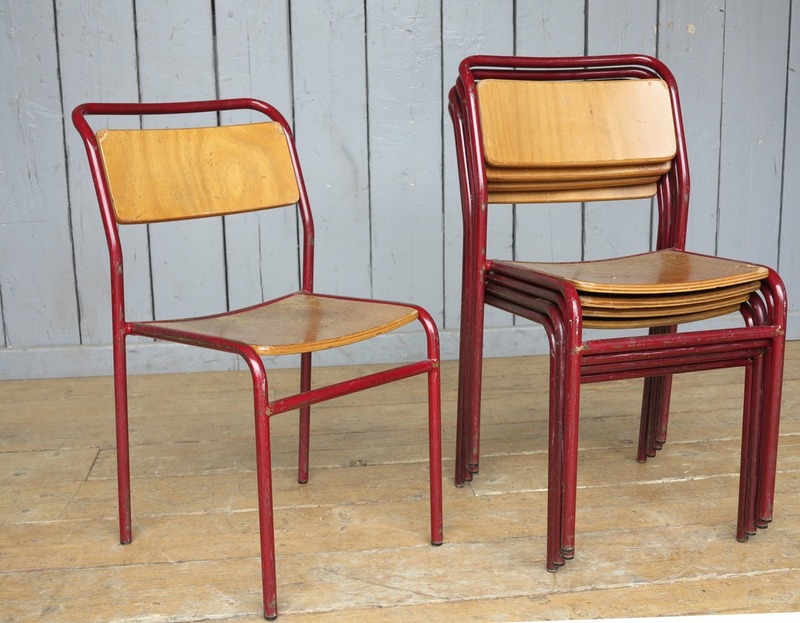 We have recently purchased two sets of these lovely stacking chairs - A Red Set and a Grey Set. These chairs would look phenomenal as the finishing touch to any pub or restaurant, or even just in your home! For more information or if you would like a price for a number of these chairs delivered to you please do not hesitate to contact the friendly sales team on 01543 222923 or email us at info@ukaa.com and we will be more than happy to help. We offer solid colours and distressed finishes to any grade of distressing that you would like. To view some examples of our previous work please click here to go to our full range of church and chapel chairs. The chairs pictured above are painted in a micture of Farrow & Ball Brinjal and London Clay. We believe these two colours compliment each other perfectly and our customer was very pleased with them! We have just advertised this fantastic set of 4 Chatsworth Garden Chairs that have been refurbished here at UKAA and painted in Farrow & Ball - Pavilion Gray. These chairs are made by Chatsworth Carpenters; They are beautifully made from pine and are of a lovely substantial and solid design.